I am a big fan of the Zondervan Counterpoint series, which explores topics such as the role of works at the final judgement, creation and evolution, and the nature of hell. Typically, an editor will invite three or four authorities with differing views to contribute a chapter, and then have each author provide a brief response to the other chapters. The editor plays a key role, setting the stage with an introduction that provides an overview of the subject, and wrapping things up with a concluding chapter. For me, it’s often like seeing a subject in three dimensions for the first time, and an efficient way to make sure I’m challenging my preconceptions and opening myself up to new ways of interpreting Scripture. And I admit to enjoying the debates as a sort of theological sparring match; when the matters being discussed are of such profound importance, sometimes the sparks fly. Four Views on Hell is the latest in the series. To cut to the chase: buy it. I only wish that the book, which presents four competing evangelical views on hell, could have been broader in scope, encompassing Eastern Orthodox, Roman Catholic, and Anglican views, but that would have been unwieldy given the Counterpoint Series’ debate format. Well, there is indeed something very big at stake, for I am commanded to love God with all my heart, strength, soul, and mind, and there are some conceptions of hell that, for me, make that impossible. 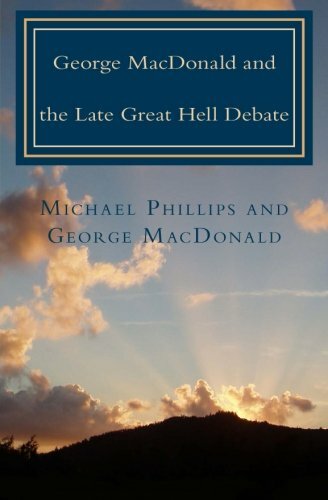 Indeed, much of MacDonald’s writing was motivated out of compassion for those whose very faith had been shaken by particular doctrines of the afterlife. That being said, and my admiration for MacDonald notwithstanding, I am not a convinced believer in universal reconciliation, holding more to the classic Anglican view expressed by the wonderfully wise Frank Wilson in his book Faith and Practice: “St Paul says that ‘God may be all in all’ and somehow that must come to pass. 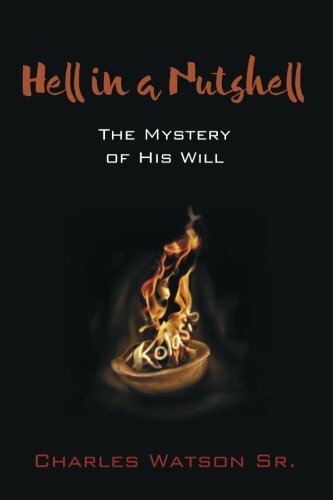 So far as he Holy Scriptures are concerned, it remains an unanswered question. The best we can do is to leave it so, knowing that God has a way of working out even seeming contradictions, and He has not seen fit to tell us how." Denny Burk, who argues for the traditional view of hell as a place where the wicked will suffer eternal conscious torment (ECT), is a professor of Biblical Studies and the director of the Center for Gospel and Culture at Boyce College. John Stackhouse, Samuel J. Mikolaski Professor of Religious Studies and Dean of Faculty Development at Crandall University in Moncton, New Brunswick, makes the case for annihilation versus ECT, arguing that wicked unbelievers will indeed suffer in hell, but that their lives will terminate after judgment day. 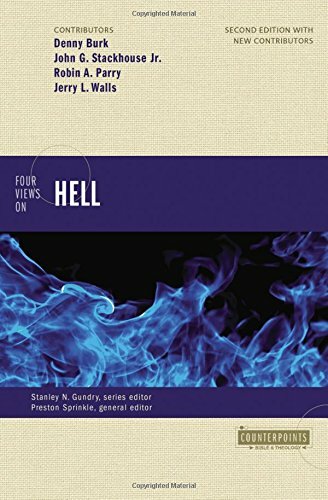 Jerry Walls, Professor of Philosophy at Houston Baptist University and author of Purgatory: The Logic of Total Transformation, believes in the traditional view of hell as a place of eternal misery, but argues that believers finish the process of sanctification after death, in purgatory. Interestingly, he also argues the case for the possibility of post-mortem repentance, which puts him a considerable distance from Denny Burk. I will begin by summarizing the key points made by Burk, and then present the principal rebuttals made by the other authors as well as my own observations. The book’s premise is that ECT is the mainstream, traditional view of hell. But, befitting a debate between evangelicals, the focus is on biblical exegesis, and Sprinkle notes that “[a]s a biblical scholar, Burk uses extensive scriptural argumentation, rather than relying on tradition…[He uses] theological reasoning to show that the traditional view of hell makes the most sense of what the Bible says about the character of God and the magnitude of sin.” So let’s examine Burk’s argument when it comes to Scripture and theological reasoning. Burke begins, however, not with an appeal to Scripture, but with a “Parable on Punishment and Justice” that he sets forward as the “underlying theological principle” of his apologetics for ECT. Imagine you see a stranger pulling the legs off an insect. You may be a bit disturbed, but unlikely to intervene. Burk gradually intensifies the imagery, until the stranger is threatening to pull the legs off an infant, in which case “you would move heaven and earth to save that baby.” The point of the parable is that “sin is not measured merely by the sin itself (pulling off the legs) but by the value and the worth of the one being sinned against…God is holy and infinite…[t]hus to sin against an infinitely glorious being is an infinitely heinous offense that is worthy of an infinitely heinous punishment.” QED! As Burk states near the opening of his chapter, “the question of eternal conscious torment really does come down to who God is.” I agree; that’s why we take such an intense, passionate interest in this debate — or rather, in the quest to understand the nature of hell. If nothing else, Four Views of Hell should make it clear that ECT can mean very different things to different people. For example, as we shall see, if Denny Burk is from Mars, then Jerry Walls is from Venus; yet both are described as subscribing to the “traditional view of hell”. George MacDonald famously wrote that he “turn[s] with loathing from the god of Jonathan Edwards,” a statement that has eternally endeared him to John Piper, Tim Keller, and legions of evangelicals everywhere. And yet — brace yourselves, MacDonald fans — I believe that the Scotsman would not at all "turn with loathing” from the doctrine of ECT, in other guises. Orthodox eternal torment, but, to me, a very different God than the one Burk presents. Similarly, the hell that C.S. Lewis imagines in The Great Divorce is arguably one of ECT, but certainly not one of a God who inflicts it as retributive justice, with one’s fate determined at the instant of death. But I’ll leave further development of that line of thought to Jerry Walls. The concern that Stackhouse articulates and that I interpret Walls’ questions to imply—that “Burk’s God is preoccupied with his own magnificence”—brings us to the theological underpinnings that Burk cites for ECT. I have frequently heard the argument which Burk describes as the theological principle underlying ECT, and, while recognizing that it has been endorsed by Anselm, Augustine, Edwards, and others, remain mystified at its logic. If a man offends a supreme tyrant—a Stalin or Hitler—in even the slightest way, we are not shocked if he is summarily executed. But if that man most foully offends the holiest saint, he is apt to be lovingly forgiven. Furthermore, the specific parable with which Burk attempts to illustrate his principle that offending the Holy of Holies deserves the most severe punishment actually works against him. We are horrified by the attempt to dismember an infant in large part because a baby is tiny and helpless. But God, Walls points out, “is so far above us in power, glory, and moral perfection that we are utterly incapable of harming him…. [since we] can do only finite harm, [we] deserve only finite punishment.” In short, Walls is observing that Burk’s parable is undermining his own case. These are devastating points, given the ground rules of evangelical discourse, it seems to me. A battle of proof-texts can be a frustrating matter, for there are verses to support virtually any theological premise, however far-fetched. Cliff-Notes summaries are tempting. Romans? “We are saved by faith, not works.” There you have it! Don’t even bother to read the whole book, it’ll only confuse you! Let alone reconcile that verse with the rest of Paul’s epistles, the Gospels, and the OT. That is why I keenly appreciate Parry’s comment that “[t]he critical hermeneutical aspect to the hell debate is how one deals with the fact that some biblical texts seem to speak of annihilation, some of [ECT], and some of universalism. 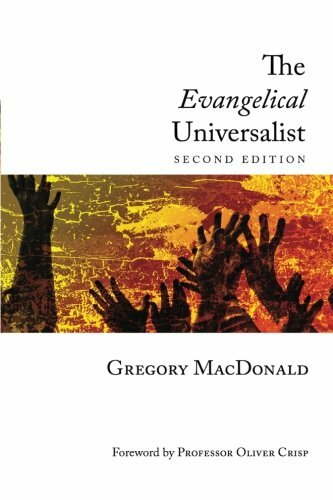 The issues for evangelicals is how to affirm all of these texts as sacred Scripture…and hold their teachings together.” Indeed! The most compelling argument will not only shine a spotlight on the most convenient verses, but also on the ones that seem to directly contradict one’s doctrine, and then show how they can somehow be reconciled. Easier said than done, but I award big-time points for even trying! Burk’s ten foundational passages are presumably the most consistent, compelling evidence for the traditional doctrine of hell. He does not address and defuse verses that appear to support other doctrines; but, to be fair, each author had to pack as much material as possible into a limited page count, and one obvious Counterpoint Series strategy is to save your counter-punches for your replies to other authors, who can be counted on to trot out the most useful verses for their point of view. The only trouble with that approach is that it fails to provide what Parry calls the metanarrative, the unity that can overcome apparent contradictions. There’s pretty decent consensus among the authors and editor that Burk’s verses provide solid support for (1) separation of the wicked from the righteous (though how final is another matter), and to a lesser extent for (3) retributive punishment (Parry concedes that the passages Burk cites do not offer any hope of salvation after separation; but we’ll see how he addresses that in just a bit). But unfortunately for Burk, when it comes to the E of ECT, his first foundational passage, Isaiah 66:22-24, runs into a blistering buzz-saw of compelling criticism, the essence of which can be applied to many of the other nine foundational verses. When his argument for the very first foundational verse hinges on lines like, “[t]hough not mentioned specifically in this text, this scene seems to assume that God’s enemies have been given a body fit for an unending punishment,” Burk is making it clear that there’s room for interpretation; and indeed, several Mac trucks (chariots?) get driven through that opening. Stackhouse gets first dibs: “In passage after passage of Burk’s analysis…he adds meanings that are not in the text—especially the idea that the suffering depicted therein is eternal…Isaiah 66, to begin with, speaks of worms and fire that do not die, but they are consuming corpses, not zombies or some other form of perpetually living ‘undead.’ The deathlessness of the symbols of judgment, worms and fire, speak of the perpetuity of God’s holy antipathy toward sin, but the corpses themselves are dead.” Score one for the annihilationist, who makes similarly persuasive points about several other of Burk’s foundational verses. Editor Sprinkle (who, while open to annihilation as an option for evangelicals, has not declared himself an annihilationist) expresses similar reservations about Burk’s arguments in his Conclusion. Anglican Frank Wilson reminds readers of Faith and Practice that aionios in this context “has to do with quality rather than duration. It is difficult for us to think that God's purposes will not be completely successful in the long run or that there can be two conflicting states, one of righteousness and one of unrighteousness, existing forever in clear opposition to each other.” But, as I mentioned above, he cautions us that God “has not seen fit” to resolve the mysteries inherent in Scripture’s account of the final judgment. Which will not, of course, stop us from considering the case for Annihilation in the next installment of this review of Four Views on Hell! Older PostChristian Universalism: A Slippery Slope? by Charles Watson Sr.